The budget is a line item (tabular) representation of the expenses associated with the proposal project. The Budget Justification contains more in depth detail of the costs behind the line items, and sometimes explains the use of the funds where not evident. Examples include the need for consultants, or the unavailability within the University of an item of equipment proposed for purchase. Foreign travel should be specifically detailed and justified, and not combined with domestic travel. 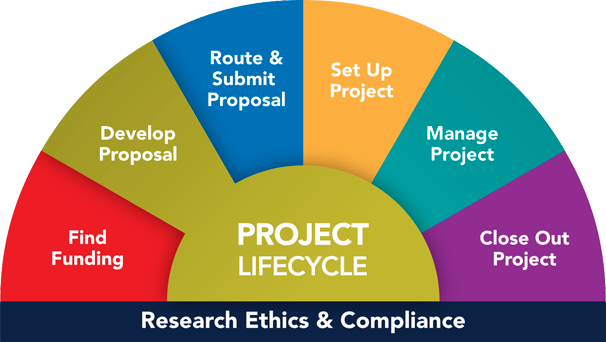 The need to travel to professional meetings should be tied to the proposed project, if possible. Refer to sample budget. Cost estimates need to be as accurate as possible to cover the expenses proposed in the project. Reviewers will note both over- and under-estimations. The budget should be developed with your departmental research administrator, in consultation with the appropriate ORSP project representative as needed. Sponsors customarily specify how budgets should be presented and what costs are allowable. The overview given here is for preliminary guidance only. Typical divisions of the line item (tabular) budget are personnel, equipment, supplies, services, travel, and indirect costs (IDC). Other categories can be added as needed. The budget should make clear how the totals for each category of expenses are reached. Salary information, for example, often needs to be specified in detail: principal investigator (.5 FTE for 3 months at $80,000 [9-month appointment]) = $13,333. Make clear if salary totals involve two different rates (e.g., because of an anticipated increase in salary during the budget period). The category of Personnel includes not only the base salary or wage for each person on the project, but also (listed separately) the percentage added for staff benefits. The current figure used for approximately the average cost of staff benefits is 30% of the total salaries and wages. Project representatives should be consulted on the calculation of staff benefits, because the rate may vary significantly depending on the kinds of personnel involved and the selected benefit option. A table is available from ORSP. Graduate Student Research Assistants, who are to be employed on research projects for more than 1/2 time, may have part of their tuition costs covered by their unit. The remaining tuition costs must be included as a line item in the budget to the sponsor. Indirect costs (IDC) are shown as a separate category, usually as the last item before the grand total. Indirect costs are figured as a fixed percentage of the total direct costs (modified by various exceptions). For federally funded grants, some items are excluded from IDC, e.g., equipment (over $5,000), graduate research assistant tuition, and the balance of subcontracts over $25,000. Because indirect cost percentages change after periodic negotiations with the federal government, PIs should consult their departmental research administrator or an ORSP project representative before calculating this part of their budget. Refer here for the current indirect cost (IDC) rates. If cost sharing is required (mandated) by the sponsor, please check with your departmental research administrator for how to show that in the budget. This must be approved by your Chair or Dean. To call attention to the variety of expenses that might arise in the conduct of a research project, a checklist* of possible budget items is included here. This checklist suggests many of the expenses that might be appropriate to your budget, but consultation with the ORSP project representative is important. S/he can help ensure (1) that the budget has not omitted appropriate elements of cost, such as service charges for the use of certain University facilities (for example, surveys conducted by the Institute for Social Research); (2) that any estimates for construction, alterations, or equipment installation have been properly obtained and recorded; (3) that costs are not duplicated between the direct and indirect cost categories; (4) that the budget complies with any cost-sharing requirements of the sponsor; (5) that provisions are made for the escalation of costs as may be appropriate; and (6) that costs in all categories are realistically estimated.